Right now, dangerous industrial activity is legally permitted, while resisting it is criminalised. But we can change this. Become a legal trustee of the Earth and help fund a law to protect our planet, our communities, and all those who take action as conscientious protectors. Watch the animation above for all you need to know in 2.5 minutes. At present, the law permits dangerous industrial activity which we know to be harmful, while criminalising activists who stand up to protect the earth and their communities. To disrupt this cycle of harm requires a new law to be put in place, making ecocide a crime. Soft law, like the Paris agreement, is unenforceable. More than 2 decades of climate negotiations have not succeeded in preventing ecocide. Civil law, where we find most environmental regulation, also does not protect us. It is mainly concerned with ownership rights and commerce and requires a complainant to sue. Suing companies is expensive and difficult. Corporations simply budget for it and continue to pollute. Only under criminal law can individuals of superior responsibility be prosecuted, creating a genuine deterrent to ecocide and protection for the earth and communities. 124 States are parties to the Rome Statute, the governing document for international criminal law. Any signatory Head of State can propose an amendment - to add Ecocide to the list of international crimes. When two thirds of States sign up, it becomes law. There is no veto, no time limit, and all State parties (however small) have an equal vote. Small, climate vulnerable states therefore have a unique incentive to put forward this amendment. This is the legal fast lane, but it costs money those small states don’t have. But between us, we do. This is where Mission LifeForce comes in, going beyond a simple crowd fund to create a global trusteeship that transcends borders. A founding document has been created for the Earth Protectors Trust Fund which is legally valid across the globe. This enables those gifting funds from anywhere in the world to become legal trustees of the Fund, i.e. 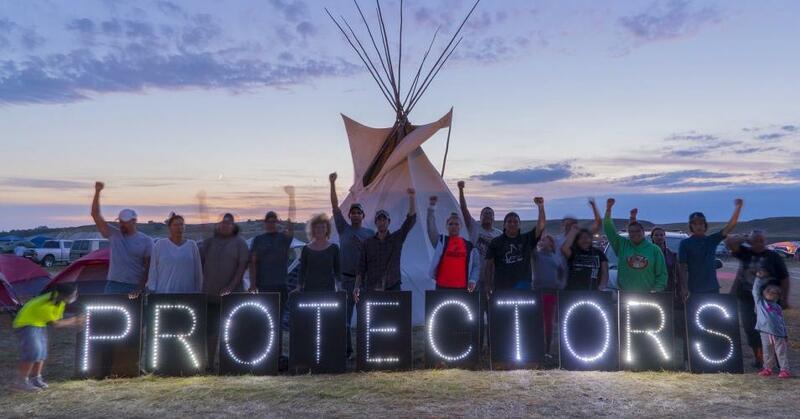 Earth Protectors in law. The Trust Fund shall be used to finance the costs of those small States with the courage to advance ecocide law at the International Criminal Court. ACTIVIST SUPPORT Because this Trust document is legally valid across the globe, wherever activists are arrested they can present it in court as a part of their defence. They can speak out about the ecocide they are facing and why they choose to stand up to it as a conscientious protector. The document creates an opportunity for any judge with a conscience, as they may use it as grounds to acquit. When this starts happening, the Earth Protector's Defence has a precedent, missing law is acknowledged… and a new life-force is unleashed. It’s simple and powerful - a legal rebel alliance of Earth Protectors coming together to re-align law with a higher moral code - protecting the earth, protecting our communities, protecting the protectors.